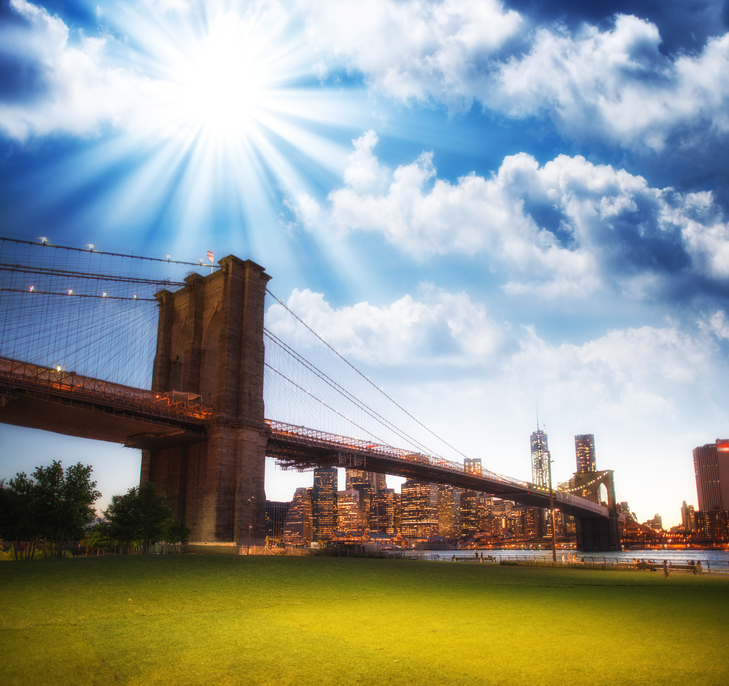 Brooklyn Bridge Park | All Tickets Inc. When completed, Brooklyn Bridge Park will stretch 1.3 miles along the East River. Parts of the waterfront park already are open to the public, offering visitors a myriad of experiences. For those in need of a time out from a busy touring schedule, the Pier 1 section offers expansive lawns for picnicking, a playground, a waterfront promenade, and lush landscaping. Pier 6 adds seven more acres to the park and offers a playground and three regulation-size sand volleyball courts. From Pier 6 there is free weekend ferry service during the summer to Governor’s Island. Recently renovated, the Empire-Fulton Ferry area of Brooklyn Bridge Park is home to the historic and beautifully restored Jane’s Carousel that will operate year-round. Just north of the Brooklyn Bridge is the Tobacco Warehouse. Built as a tobacco customs inspection center in the 1870s, it is a reminder of shipping activity that once dominated the waterfront.